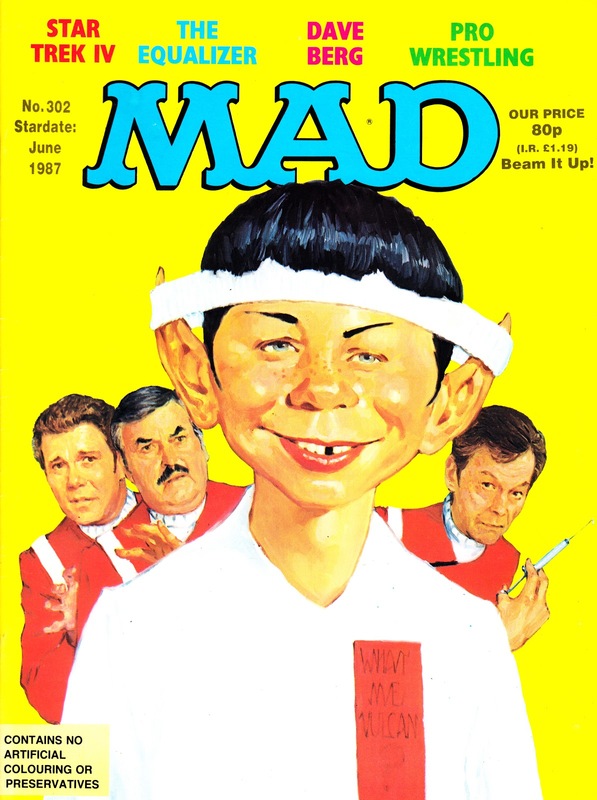 Here's a STAR TREK IV: THE VOYAGE HOME cover from the UK edition of MAD MAGAZINE. It's a slightly sneaky con as there's barely another mention of the movie inside. It's a fun cover, however.